The Cape Times newspaper (Cape Town, South Africa), along with its sister paper The South African Star (Gauteng, South Africa), are reporting that local poet Melanie Grobler has relinquished her prize from the prestigious Eugýne Marais literature contest after a plagiarism controversy regarding her work erupted on the Internet. Grobler’s poem, “Stad”, is an almost word-for-word translation of Anne Michaels’ 1999 poem “There Is No City That Does Not Dream”. Even though the poems were in two different langauges, Afrikaans and English respectively, an eagle-eyed poet named Loftus Marais discovered the similarities and posted them to a litnet.co.za, creating an ongoing controversy (page in Africaans). Grobler, for her part, has admitted to being a fan of Michaels’ work but has denied any intentional plagiarism and said that the similarities were due to “absorption that takes place naturally when one is an avid reader”. Meanwhile, the volume of literature in which the controversial poem was published is still available for sale, though no future copies will be shipped to stores, and the academy which gives the award has decided against passing it on to another author. What makes this incident sad is that all of the other authors who entered the contest and were published in the volume of literature are now denied an opportunity to get their legitimate work read. Simply because one author lifted work from another, for whatever reason or through whatever means, countless other writers and readers now suffer. 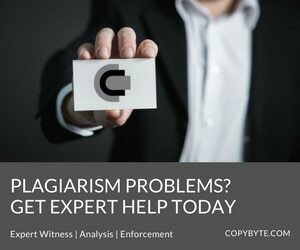 However, it also highlights a growing problem, translated plagiarism. As the Internet helps us cross language and cultural borders, more and more incidents of translated plagiarism are bound to arise. These incidents are much harder to detect, as translation is often a fuzzy process that’s hard to search for, and even harder to stop as they usually cross international borders. It’s very easy for someone who speaks two languages to take a piece of work, translate it and claim it as their own while feeling secure that almost no one who speaks language A will read the language B version and vice versa. Also, since Internet translation services are very basic at the moment, searching for such incidents is virtually impossible as much is left open to the translator’s interpretation. A lot of this is going to come down to the help translators can provideywcqrxbwcacatuxzdf in spotting and reporting these types of misuses. Even though we can’t possibly expect them to know every piece of writing in a sea of literature and academia, they can provide a great deal of help. After all, they’ve read far more than most and are very familiar with what’s out their in their field, in both languages. It’s not much, I admit, and it places an unfair burden on intermediaries, but until Babelfish catches up with humans, it’s about all we have.